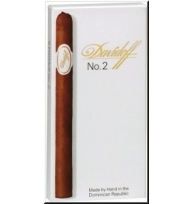 Davidoff Special SeriesThere are 17 products. Reminiscent of the Classics of the Belle Epoque. The Davidoff Double «R», a true Double Corona, is an ideal complement to the «Special» series. A complex blend of excellent tobaccos of up to four different harvest defines its well rounded character. The innovative cigar composition “Entreacto” is a small, splendid cigar format – especially intended for smoking pleasure between times. It takes a highly skilled cigar roller to achieve the perfectly balanced format of the Davidoff Short Perfecto. The Special «R» is distinguished by the classical shape and generous aroma.